As the world continues to receive the sad happenings in Cameroon concerning the anglophone crises, some world leaders are beginning to react to the situation; from American Parliamentarians, Canadian prime Minister, now it’s a bigger person, the sovereign of Vatican; Pope Francis. In a statement released by the secretary general of the presidency Ferdinand Ngoh Ngoh, it is reported that the presidential couple H.E. Paul and Chantal Biya, while in Italy, will visit the Vatican on Thursday, March 23, 2017 to meet the head of the Roman Catholic Church The Pope Francis. But a source close to the presidency of the republic (cell of communication), indicates that it was convened by the sovereign pontiff to discuss the anglophone crisis. 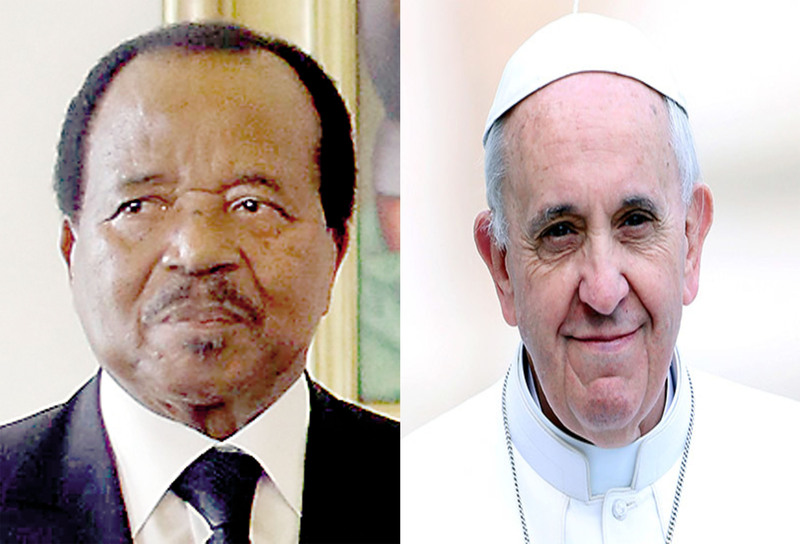 According to the same source, The Pope wants to talk with President Biya to see to what extent a peaceful solution to this crises. 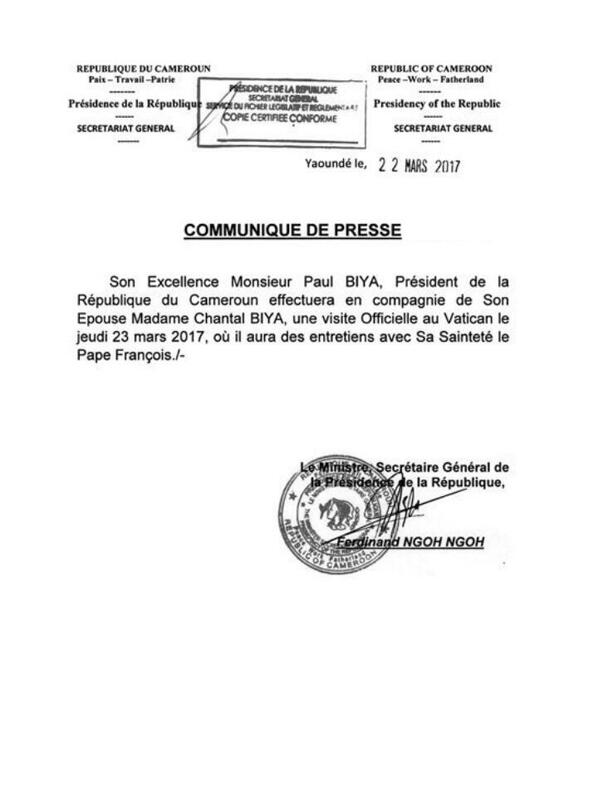 Paul Biya, how is highly known for his religious values and especially his respect for the dignitary of the Catholic Church, will certainly listen attentively to the suggestions of Pope Francis. It should be remembered that this crisis which began in November 2016 carries a worrying record with dozens of deaths and the imprisonment of some English-speaking leaders.